For digital pedagogy and research projects that need additional support and resources, funding opportunities for faculty and graduate students working in the digital humanities are available at Northwestern University and beyond. Alumnae Curriculum Awards | Provides support for faculty to develop new courses which will specifically enhance innovation in Northwestern’s undergraduate curriculum for the coming academic year. Course Enhancement Grants | Funded by the Weinberg College of Arts & Sciences, these grants provide funds for special events or activities associated with a course. Digital Humanities Summer Faculty Workshop | An annual workshop in which faculty, librarians, and technologists work together to create new digital humanities courses and researches projects with meaningful roles for undergraduates. 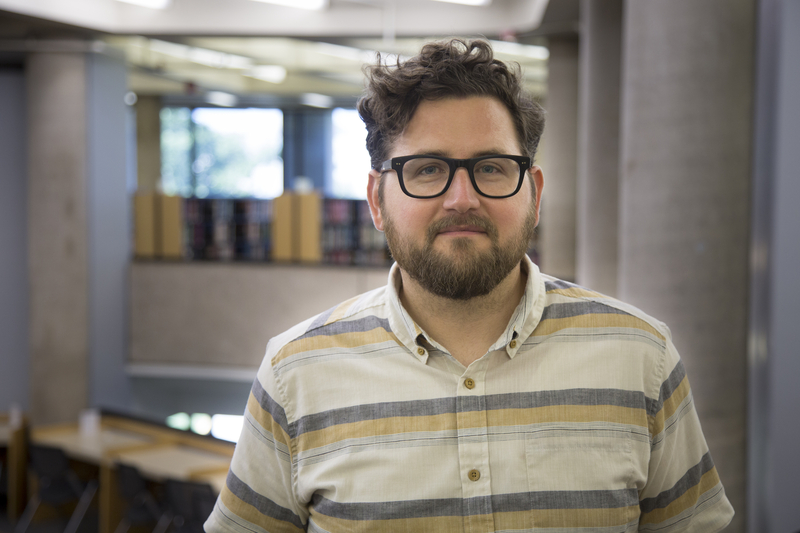 Digital Humanities Research Grant | Funded by The Graduate School, this grant is intended to enable PhD students in the humanities to access specialized training. Awards up to $2,500 will be granted for training in digital technologies directly in support of dissertation research. Hewlett Fund for Curricular Innovation | Funded by Weinberg College of Arts & Sciences, these grants or matching funds are available to one or more continuing faculty members or departments for projects that enhance undergraduate curricular innovation and development. Humanities Without Walls | A collaboration among 15 humanities centers, funded by the Andrew W. Mellon Foundation, aiming to create cross-institutional research, teaching and scholarship in the humanities. Provost's Digital Learning Fellowship | Encourages faculty to develop innovative digital or online projects focused on improving student learning at both the graduate and undergraduate student levels. Provost Grants for Innovation in Diversity and Equity | Supports novel and innovative faculty projects, including curricular projects, conferences, and other programs, that will enhance our academic enterprise through improving diversity and inclusivity at Northwestern. W Awards | An initiative to facilitate scholarly inquiry by Weinberg College faculty, including innovative new work, significant changes in research direction, and new collaborative ventures. Digging Into Data Challenge | This grant is open to any project that addresses research questions in the humanities and/or social sciences by using techniques of large-scale digital data analysis and shows how these new techniques can lead to new theoretical insights. Digital Humanities Advancement Grants | These grants provide three levels of funding in support of the implementation of experimental projects—from the start-up to implementation phase—that demonstrate their value to the humanities, including efforts to reinvigorate existing or dormant projects in innovative ways. Digital Projects for the Public | These grants support projects that significantly contribute to the public’s engagement with the humanities. The program offers three levels of support for digital projects: grants for Discovery projects (early-stage planning work), Prototyping projects (proof of-concept development work), and Production projects (end-stage production and distribution work). Fellowships for Digital Publication | These fellowships support individual scholars pursuing research projects that require digital expression and digital publication. To be eligible for this special opportunity, an applicant’s plans for digital publication must be essential to the project’s research goals. Humanities Collections and Reference Resources | This program strengthens efforts to extend the life of humanities collections (including, not limited to books, art, photographs, sound and video, and digital objects) and make their intellectual content widely accessible, often through the use of digital technology. Institutes for Advanced Topics in the Digital Humanities | These grants support national or regional (multistate) training programs for scholars and advanced graduate students to broaden and extend their knowledge of digital humanities.